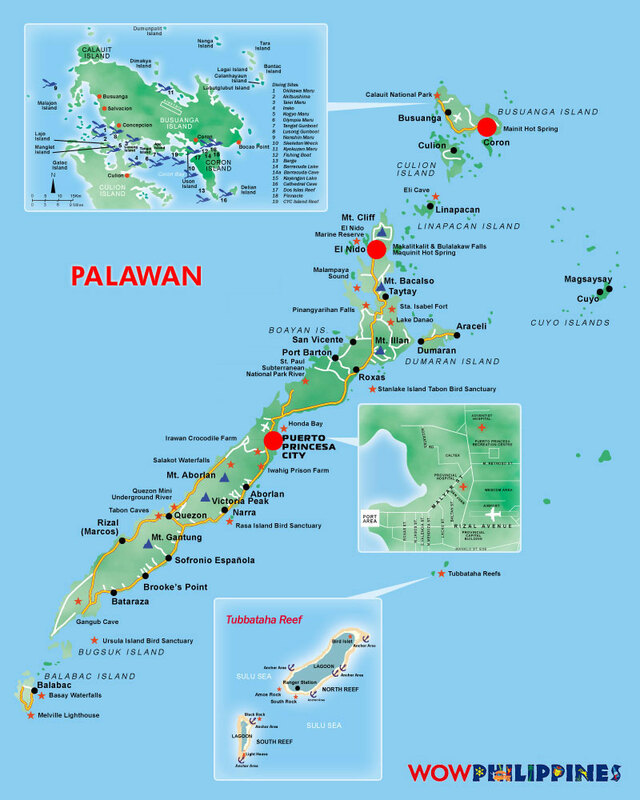 El Nido, Palawan is located 260 miles southwest of Manila. You have several options to get to El Nido. Fly direct from Manila or Clark to El Nido. Fly to Puerto Princesa, then take a bus or van to El Nido. Take a boat from Coron to El Nido. Fly direct from Cebu or Catliclan (Boracay) to El Nido. Take a boat or van from Port Barton.